Letters to the Editor: The incredible bridge in Vietnam! 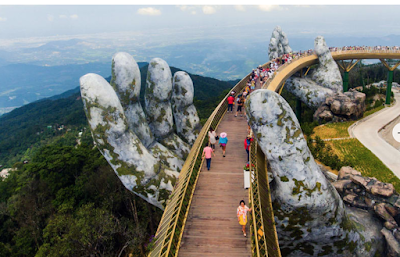 CNN-Ba Na Hills, Vietnam: The 150-meter-long Golden Bridge rises above Trường Sơn Mountains. It's supported by a pair of giant hands which may look weathered, but the bridge opened only in June 2018.